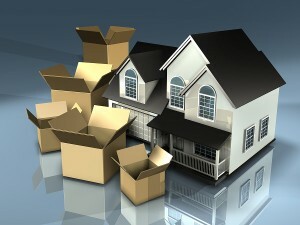 The cost of moving is always a key concern whenever relocation is impending. Of course, you want your move to be handled with the utmost care, the trucks driven by experienced professionals, and the staff you encounter to be friendly. However, it seems that the higher quality of service provided, the more you’ll end up paying. At Bulldog Movers, though, you can trust your items will be handled by professional, friendly, and experienced movers without having to shell out an arm and a leg in return. In fact, we will beat the cost of moving offered by any other local moving company that has a Consumers’ Choice Award to its name. Since 1982, we have provided unparalleled moving and relocation services to residents of the Atlanta Metro area at a reasonable price, and along the way we have developed a sterling reputation. We maintain an A+ rating with the Better Business Bureau, and are proud recipients of the Consumers’ Choice Award for nine years running. If you would like to find out more about local moving quotes, the cost of moving, and how we can provide you and your possessions with a professional and successful move in Alpharetta, Marietta, Acworth, Sandy Springs, or anywhere else in the Atlanta Metro area, call or email Bulldog today.